Say you’re in the Greater Daglan Area and you’re driving from Gourdon to the Big D itself (that’s Daglan, silly). 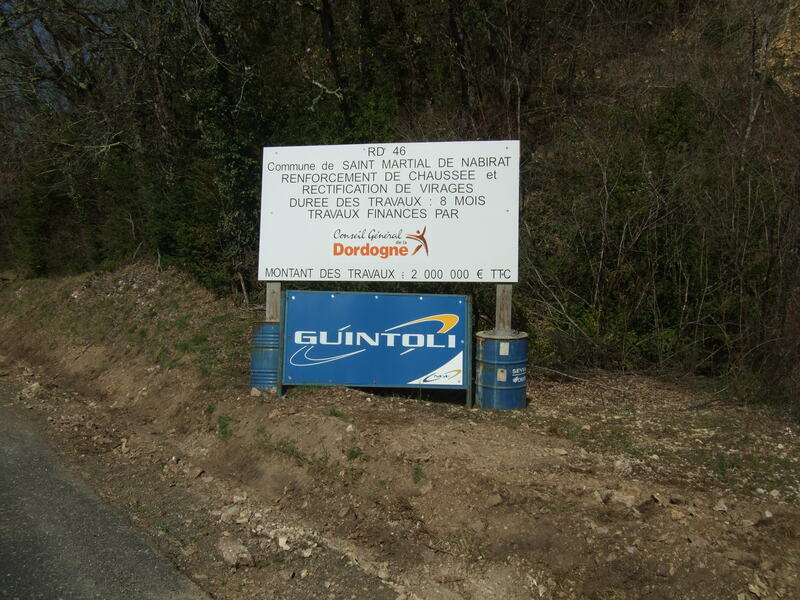 First you’ll follow the D673 away from Gourdon, and then you’ll turn right at Pont Carral. 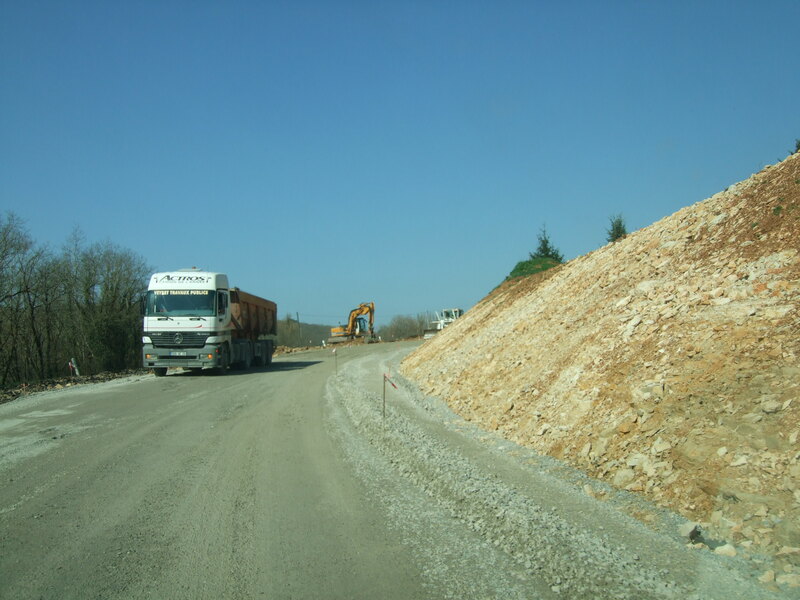 From there you’ll follow the D46 towards Saint Martial-de-Nabirat. 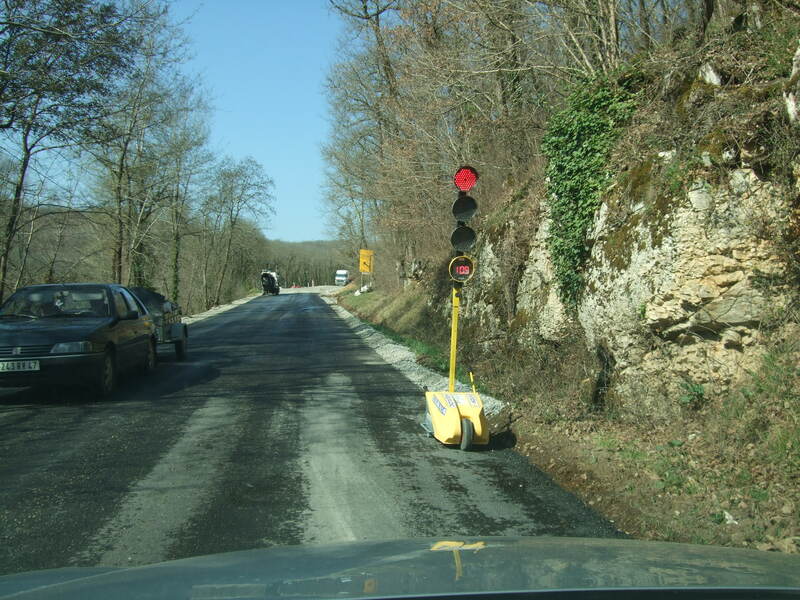 But as you near Florimont-Gaumier, you’ll notice a sign suggesting that you turn left onto the D52, for Bouzic and then Daglan. We've been driving past this sign for months on end. 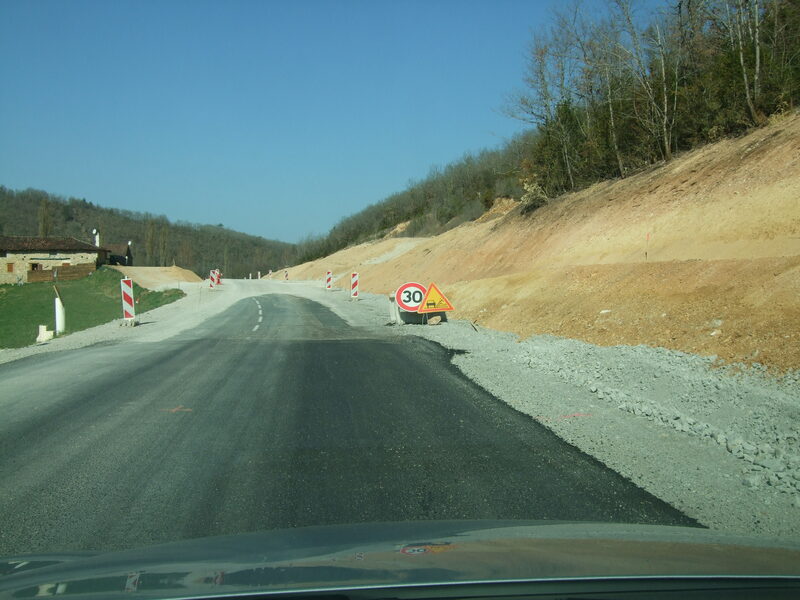 Here's a stretch where the road was straightened. Stopping in the middle of nowhere. Yet another truck, heading our way. 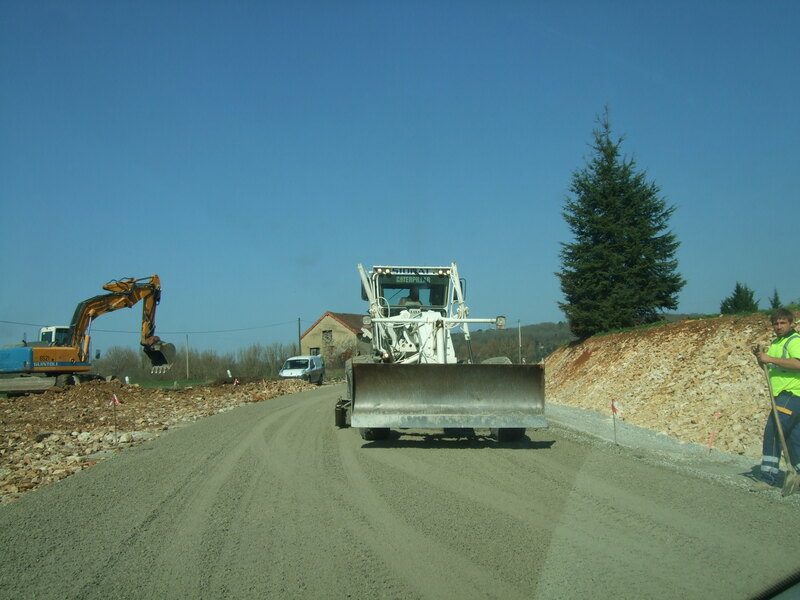 A bulldozer heads our way. Our new giratoire, in the making. As you can imagine, my wife and I are a bit tired of the whole project — for months we’ve been driving over rough gravel, stopping for equipment, and washing the car regularly because it’s covered in dust. But it looks like the end result will be a much more pleasant drive to and from the spa. One of these days. 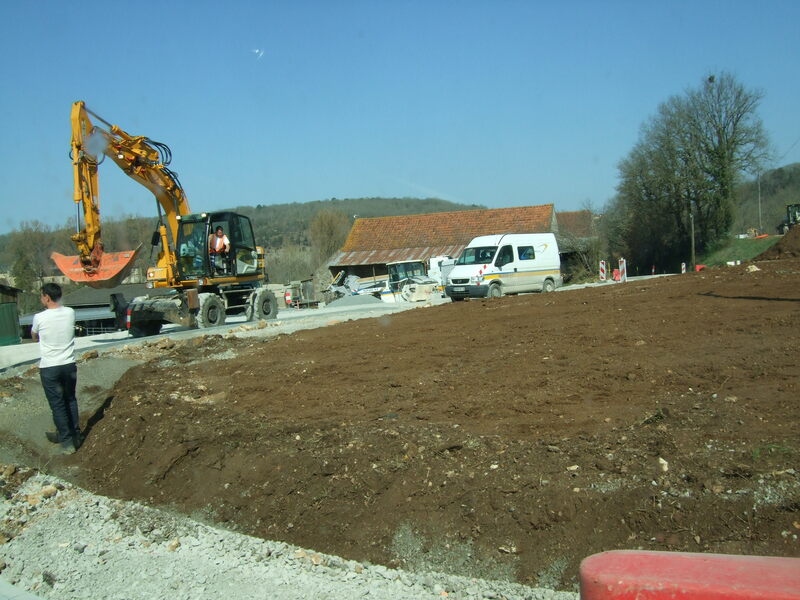 This entry was posted in Life in southwest France and tagged Bouzic, bulldozers, cars, D46, D52, D673, Daglan, roadworks, Saint-Martial-de-Nabirat, transportation. Bookmark the permalink.